Characteristics: The wine is regularly racked and tasted during the whole barrel maturation, which may last up to 14 months. At the end of the elevage, the best lots are selected through extensive tasting, and they are assembled to create the final blend. After bottling, the wine rests for at least three months before release. The wine is released around 18 months after harvest. Depending on the vintage, it may reach its maturity between 2 and 4 years after harvest. The plateau lasts at least 10 years after harvest. "Gilbert & Gaillard" has rated the wine "Querciabella Chianti Classico DOCG, Tuscany, Italy" from the vintage 2013 on 01.06.2016 with 92 of 100 points.
" Brilliant deep ruby. Profound nose of fresh, ripe red fruits with subtle oak. Full-bodied, fleshy, polished attack flowing into savoury freshness. Fruit is focused, persistent and predominant. A beautiful precise, tense wine. " "Wine & Spirits Magazine" has rated the wine "Querciabella Chianti Classico DOCG, Tuscany, Italy" from the vintage 2013 on 01.04.2017 with 87 of 100 points. "Luca Gardini" has rated the wine "Querciabella Chianti Classico DOCG, Tuscany, Italy" from the vintage 2014 on 01.04.2017 with 85 of 100 points. "The Wine Front" has rated the wine "Querciabella Chianti Classico DOCG, Tuscany, Italy" from the vintage 2014 on 25.03.2017 with 91 of 100 points. "Wine Spectator" has rated the wine "Querciabella Chianti Classico DOCG, Tuscany, Italy" from the vintage 2013 on 15.10.2016 with 90 of 100 points. "Wine Enthusiast" has rated the wine "Querciabella Chianti Classico DOCG, Tuscany, Italy" from the vintage 2013 on 06.01.2016 with 89 of 100 points. "Wine Enthusiast" has rated the wine "Querciabella Chianti Classico DOCG, Tuscany, Italy" from the vintage 2012 on 05.01.2016 with 91 of 100 points. "Vinous Antonio Galloni" has rated the wine "Querciabella Chianti Classico DOCG, Tuscany, Italy" from the vintage 2013 on 01.09.2015 with 92 of 100 points. 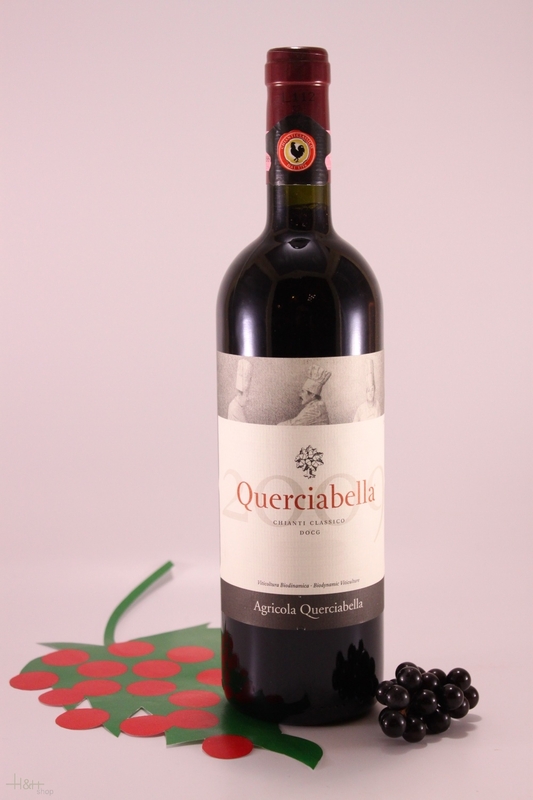 "Wine & Spirits Magazine" has rated the wine "Querciabella Chianti Classico DOCG, Tuscany, Italy" from the vintage 2011 on 01.04.2015 with 90 of 100 points. "Wine Spectator" has rated the wine "Querciabella Chianti Classico DOCG, Tuscany, Italy" from the vintage 2011 on 15.10.2014 with 90 of 100 points. "Vinous Antonio Galloni" has rated the wine "Querciabella Chianti Classico DOCG, Tuscany, Italy" from the vintage 2012 on 01.09.2014 with 89 of 100 points. "Wine Enthusiast" has rated the wine "Querciabella Chianti Classico DOCG, Tuscany, Italy" from the vintage 2011 on 04.01.2014 with 90 of 100 points. "Wine Spectator" has rated the wine "Querciabella Chianti Classico DOCG, Tuscany, Italy" from the vintage 2010 on 15.10.2013 with 90 of 100 points. "Vinous Antonio Galloni" has rated the wine "Querciabella Chianti Classico DOCG, Tuscany, Italy" from the vintage 2011 on 01.08.2013 with 91 of 100 points. "Vinous Antonio Galloni" has rated the wine "Querciabella Chianti Classico DOCG, Tuscany, Italy" from the vintage 2010 on 01.08.2013 with 89 of 100 points. "Huon Hooke" has rated the wine "Querciabella Chianti Classico DOCG, Tuscany, Italy" from the vintage 2008 on 15.05.2013 with 90 of 100 points. 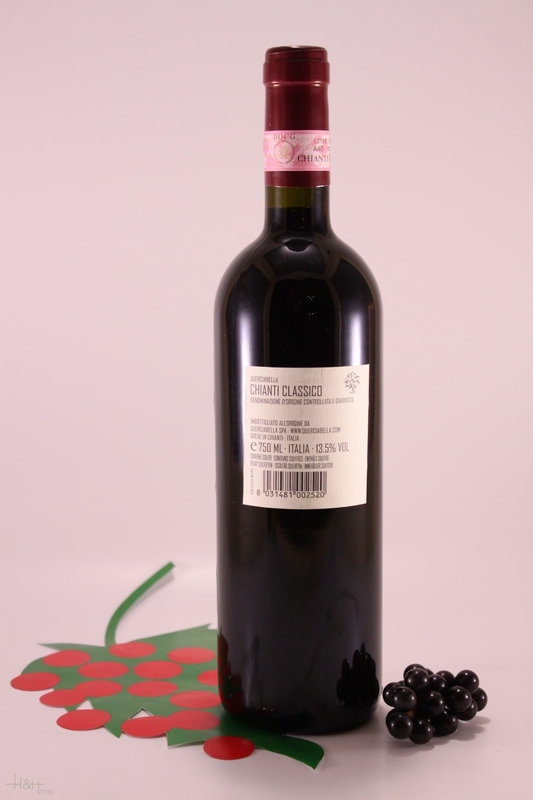 "Falstaff Magazin" has rated the wine "Querciabella Chianti Classico DOCG, Tuscany, Italy" from the vintage 2010 on 15.02.2013 with 88 of 100 points.